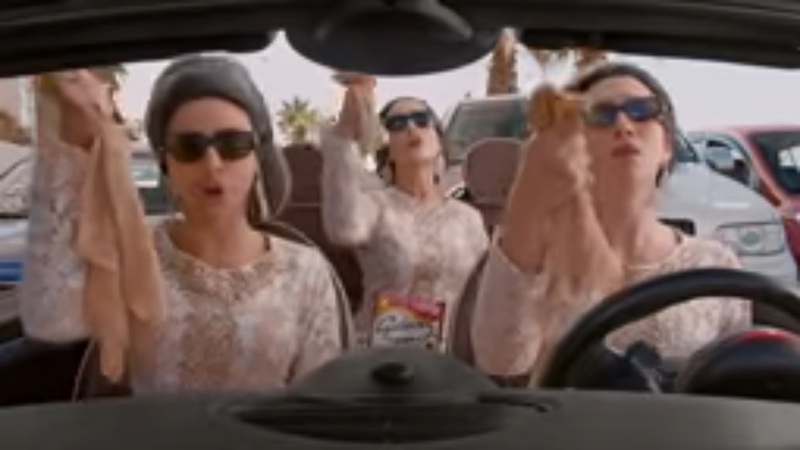 There is a new Galaxy ripples ad running, and it mixes all kinds of music because the girls are "sharing life's little pleasures"- try as I might not to like the ad, it is impossible. The girls - perfectly cast, frivolous, true to nature are fantastic in their roles. I might argue that the hip hop scene was - oddly - not similar to the other ones, meaning each girl portrayed a character instead of sticking to the same one as in the rest of them. Also, small production note, the traffic jam is on the wrong side of the corniche! The way the cars are placed is on the opposite side of the highway. I can understand that this is the scenic side of the route but I had to mention it. But these are just small observations for a very funky and catchy ad... You can see the Galaxy ad here. And if you end up humming pretty woman all day long, you'll know why!